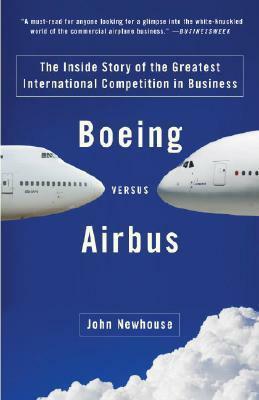 The commercial airline industry is one of the most volatile, dog-eat-dog enterprises in the world, and in the late 1990s, Europe's Airbus overtook America's Boeing as the preeminent aircraft manufacturer. However, Airbus quickly succumbed to the same complacency it once challenged, and Boeing regained its precarious place on top. Now, after years of heated battle and mismanagement, both companies face the challenge of serving burgeoning Asian markets and stiff competition from China and Japan. Combining insider knowledge with vivid prose and insight, John Newhouse delivers a riveting story of these two titans of the sky and their struggles to stay in the air. John Newhouse has written seven books and for many years was the Washington correspondent for The New Yorker. He lives in Washington, D.C.